Inspired by true events, this is the story of how society’s ‘lovely ladies’ won a war. 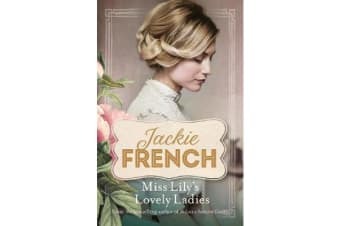 Each year at secluded Shillings Hall, in the snow-crisped English countryside, the mysterious Miss Lily draws around her young women selected from Europe’s royal and most influential families. Her girls are taught how to captivate a man – and find a potential husband – at a dinner, in a salon, or at a grouse shoot, and in ways that would surprise outsiders. For in 1914, persuading and charming men is the only true power a woman has. Sophie Higgs is the daughter of Australia’s king of corned beef and the only ‘colonial’ brought to Shillings Hall. Of all Miss Lily’s lovely ladies, however, she is also the only one who suspects Miss Lily’s true purpose.